When it’s time to try to figure out what to do for an evening out, it usually comes down to this question: dinner or a show of some kind? As luck would have it, the best answer to this question when I can spend a night in Pigeon Forge is both! Whether I want the show part of my evening to include equestrian excitement, mountain music with a little mayhem, or a high seas adventure with pirates and mermaids, it’s all available for me to choose from – let me tell you what I like best about each dinner attraction other than the fabulous four-course feast that goes along with each show. It’s almost impossible for me to pick a favorite part of this show. I probably have been to this “most fun place to eat in the Smokies” 50 or more times but I’m always wowed by all the different elements of the show and how it all fits together so seamlessly. 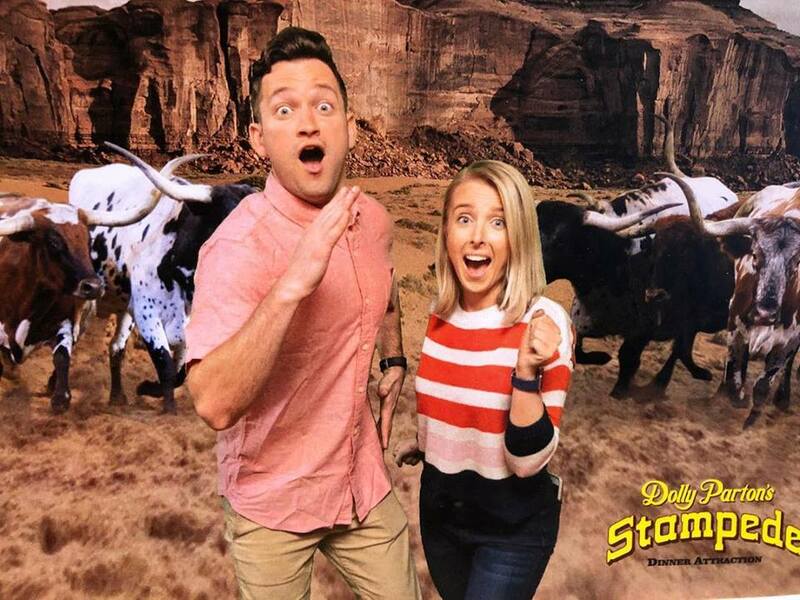 How do they get the buffaloes and the longhorns to venture out into the arena like they are on a Wild West cattle ranch, and how does the comic relief Skeeter get the girl in the barrel trick back to her seat in the audience? The audience participation always makes me laugh, and I love hanging out in the Saloon during the pre-show sipping the icy deliciousness of a frozen strawberry drink from my boot mug and tapping my toes to the music of Mountain Ruckus. However, my heart belongs to the two stars of the show every time: the 32 magnificent horses jumping through hoops of fire, trick riding and barrel racing and that four-course feast. Get me to the Stampede – it’s time for some creamy vegetable soup! 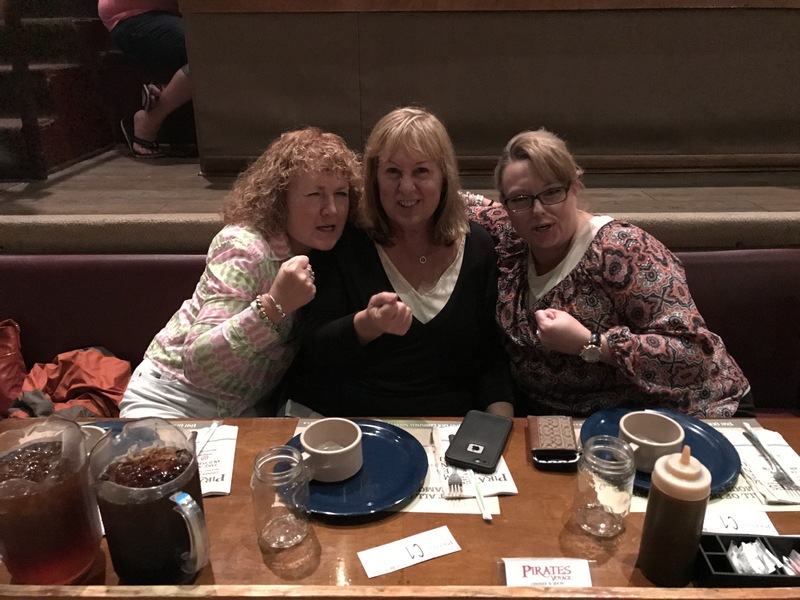 One of my new favorites for fun in Pigeon Forge is the Hatfield & McCoy Dinner Feud. 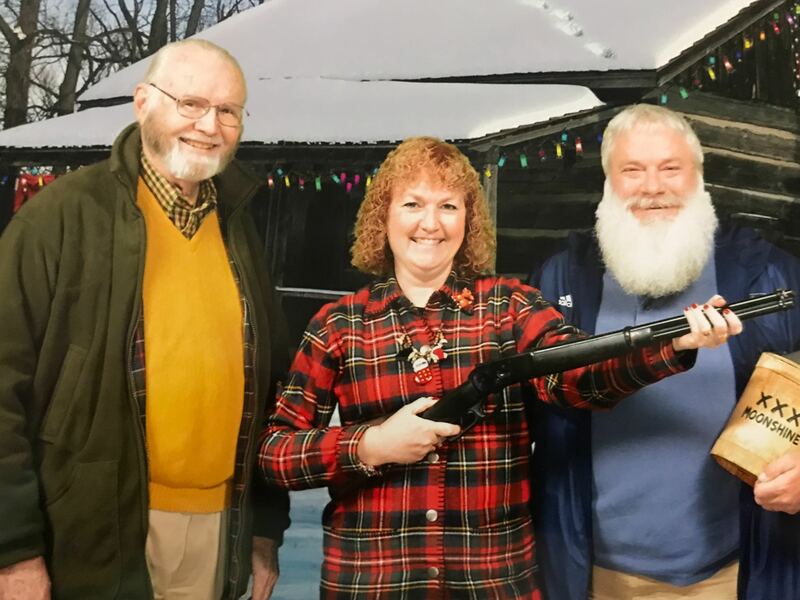 My husband and I went for the first time during the holidays and couldn’t stop laughing – except when we were busy eating the delicious fried chicken, mashed potatoes, corn on the cob and lots of other deliciousness. I come from a big, fun and sometimes crazy family myself, so I felt right at home with this bunch! The fact that they start off when you first sit down with a mountain of delicious food is the way to my heart – and it’s all you can eat! When the show starts (after my second or third piece of fried chicken!) the feud is action-packed with “battles” of musical talents, clogging and dancing, some “explosive” stunts that give the show a true bang, and dozens of crazy diving stunts in the 24-foot deep swimming pool that is part of the show set. How can you not love a show with a swimming hole right in the middle of the stage or main characters who just decide to clog to prove a point to the other family? That’s fun no matter who you are! It’s a pirate’s life for me in a couple of months (late May 2019) when the new swashbuckling adventure that is Pirates Voyage Dinner & Show opens in Pigeon Forge. Dolly is going overboard with this one, and it will have lots of similar elements to the wildly-fun original Pirates Voyage in Myrtle Beach. I’ve been part of the pirates’ extravaganza by the beach, and there is not a single part of that show that I don’t love. From the acrobatics and diving stunts into the 15-foot-deep lagoon to the antics of the sea lions to “actual” mermaids and battles both on land and sea between the Crimson and Sapphire pirates – wow! And did I mention that there’s a four-course pirate feast and you can say Aarrgh and Shiver Me Timbers and Sea Ya Soon and all kinds of crazy pirate talk and no one will think anything of it. Ahoy, that’s just another seaworthy reason to set sail to this show. Ok, I’m finished with the pirate lingo – it’s just so much fun! 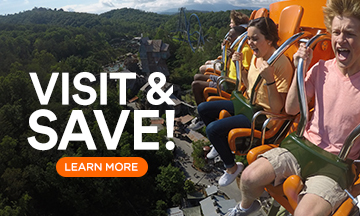 There are even more show options if you already have dinner plans, including the Smoky Mountain Opry and The Comedy Barn, both in Pigeon Forge, but that’s another show story or two for another day. Until then, I’m putting on my cowgirl attire, clogging shoes and pirates hat and heading out for some dinner show fun.